← MEN: It’s Your Time to Sparkle! What do NASA, the Dallas Cowboys Cheerleaders and Mexico’s Top Model have in common? Answer: Sparkling custom rhinestone logo wear from Sparkle Plenty Designs. Sparkling rhinestone tees and apparel make for great promotional material. 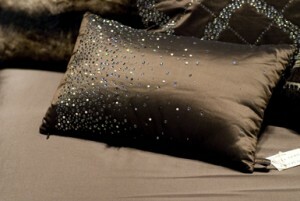 Let the bling experts at Sparkle Plenty Designs share some ideas to make a memorable splash. Match that oh-so-seducing sparkle to a flattering, ladies tee, and you’ve got a promotional item that will have patrons clamoring for giveaways, but more importantly, you’ll have a perfect impulse purchase. The aesthetic appeal alone is enough to seal the deal, often regardless of what’s on the shirt. And because women love bling, your sparkly logo wear creates more attention for your brand, as in “walking/talking billboard”. * Apparel & Accessories – Sparkle Plenty Designs can create your custom logo, phrase or idea in crystal or rhinestone on shirts, tees, hoodies, ties, Pilates/yoga wear – you name it, they can make it sparkle. * Cloth napkins, tablecloths – even home decor – Sparkle Plenty can add crystal to these items to really make a statement – from a simple monogram to a glam logo or monogram. * Skin – yes, crystal body tattoos are hot! Relatively inexpensive with one-size for all, this is an item that’s easy to work with, and sure to please. * Glasses/Bottles – perfect for liquor brands’ promotions – imagine beautiful blinged champagne/wine bottles for a very special event. Sparkle Plenty Designs specializes in “blinging” your message, brand, event or logo to life in Swarovski crystal or rhinestone – a look that’s guaranteed to get attention. Apart from your logo, custom design work can be focused on events ranging from fundraisers and charity events, to spa & salon staff wear, to weddings. In addressing the needs of our buyers, Sparkle Plenty has found a balance between quality custom design work and cost efficiency. As recently pointed out by Wearables Magazine – the authority for the promotional apparel industry – in a trend alert titled, Bring Out The Bling: “….metallics and shiny apparel remain ‘in’ no matter what the season”. 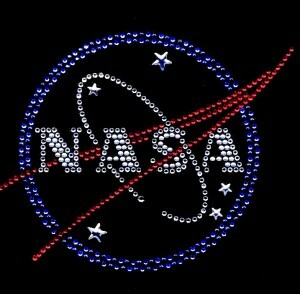 Sparkle Plenty Designs: specializes in creating custom crystal and custom rhinestone logo-wear & apparel. 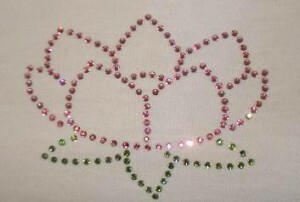 Sparkle Plenty also offers crystal and rhinestone Hot-Fix transfers which you can heat press on your own garments. They can CRYSTALLIZE your name, logo, idea, message or event and “bling” it to life in crystal or rhinestone. Their high quality apparel is perfect for corporate branding, fundraising, promotions – and profit. p.s. do your clients “VAJAZZLE”? Sparkle Plenty Vajazzle Crystals also features a wide range of crystal body tattoos for sparkling your….well, you know. This entry was posted in body crystals, crystal caps, crystal home accents, crystal home decor, crystal linens, crystal pillows, crystal tees, crystal throw pillows, Crystallized, custom apparel, custom logo shirts, custom salon tees, custom spa shirts, fundraiser apparel, fundraising shirts, hotfix transfers, rhinestone caps, rhinestone tees, salon logo wear, sparkle plenty, sparkle plenty designs, sparkly accessories, sparkly caps, sparkly hats, sparkly home accents, sparkly rhinestone shirts, staff apparel, staff shirts, Swarovksi Crystal Shirts, temporary crystal tattoos, Uncategorized, Vajazzle and tagged promotional products. Bookmark the permalink.